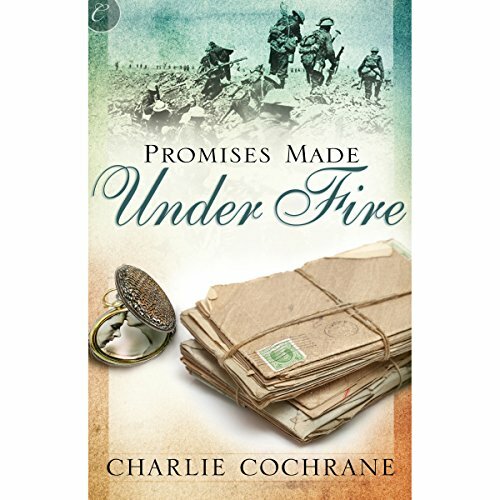 France, 1915: Lieutenant Tom Donald envies everything about fellow officer Frank Foden - his confidence, his easy manner with the men in the trenches, the affectionate letters from his wife. Frank shares these letters happily, drawing Tom into a vicarious friendship with a woman he's never met. Although the bonds of friendship forged under fire are strong, Tom can't be so open with Frank - he's attracted to men and could never confess that to anyone. ©2013 Charlie Cochrane (P)2013 Audible, Inc. This is a sweet romance. The author successfully casts you into the cadence of an epistolary relationship set in the years of World War I. Sufficiently self-contained but leaves you wanting (in a good way) to know more about the characters and their lives. Such a lovely WWI story. The narration was amazing and I just adore how it unfolded. Anything extra would have felt totally fake. I don't understand why this book gets such good reviews. It took me ages to get through it, even though it is a short book. It only picked up for me at the very end. I found it quite dull, mostly because of the narration, I think. It seemed so very slow. Sorry, not for me. What was one of the most memorable moments of Promises Made Under Fire? I loved this story. i cried through it like a frigging baby lol Seriously it touched my heart. This was such a sweet full filling story, it was lovely. What about Kevin Stillwell’s performance did you like? He did excellent and I wouldn't hesitate to listen to him again.